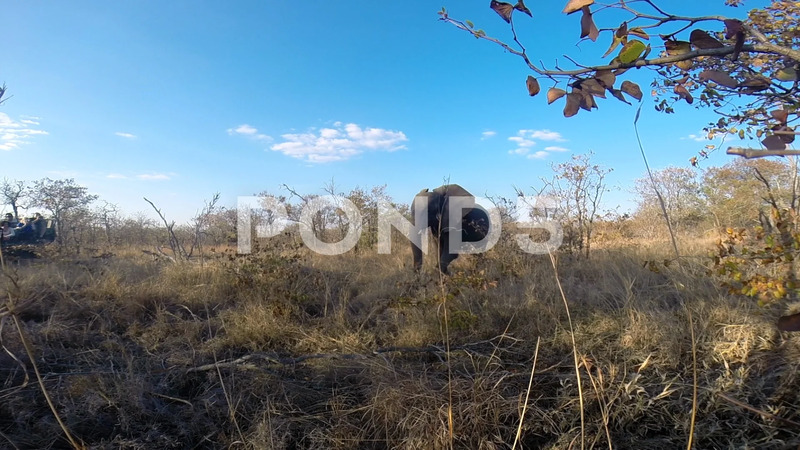 Description: Elephant walks passed Gopro hidden in bush in Greater Kruger National Park in South Africa. Dry grass, trees and bushes surround the elephant. Blue sky in the background.